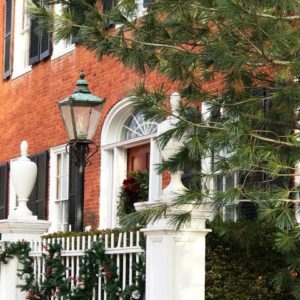 –New Year’s Day Brunch at First Hill York (10:00 – 3:00). –Shuck-A-Buck at Jumping’ Jay’s Fish Cafe (5:00 – 9:00). –7th Annual Buoy Toss at Short Sands Beach (1:00 – 3:00). –Trivia Night at Fat Belly’s Bar & Grill (8:00 – 10:00). –Drop-In Latin Dance at The Strand (6:00 – 7:00). –The Old Man & The Gun at The Music Hall (7:00 – 8:30). –Wildlife at The Music Hall Loft (7:00 – 8:45). –Cribbage League at Whym Craft Beer Cafe (6:00 – 8:00). –Piscataqua Photographers Show at Portsmouth Public Library (5:00 – 7:00). –Alex Anthony at Portsmouth Book & Bar (9:00 – 12:00). –First Thursdays Live Music at Garrison City Beerworks (4:30 – 7:00). –Island Mike at Woodland Farms Brewery (6:00 – 8:00). –$10 Burger and Brew Day at Maine Beer Cafe (12:00 – 8:00). –Comedy Night with Wes Hazard and more at The Press Room (8:00). –DJ Set: Goretek the Assassin at The Press Room (9:00). –The Eastern Sleds Record Release Party at The Button Factory Stage (8:00 – 10:00). –Wildlife Fashion Art Safari at 3S Artspace (5:00 – 8:00). –Documentary: Chef Flynn at The Music Hall Loft (7:00 – 8:30). –Mixology Nights in Tiller at Cliff House (5:00 – 6:00). –Dover Art Walk at Dover Downtown (4:00 – 8:00). –Brick Park at Latchkey (9:00 – 12:30). –Seagrass at SoMe Brewing Co. (6:30 – 8:30). –Amorphous Band at Portsmouth Book & Bar (9:00 – 12:00). –Cormac McCarthy at Wiggly Bridge Distillery (5:00 – 7:00). –OldHat Stringband at Tributary Brewing Co. (4:00). –Truffle at The Press Room (8:00 – 11:00). –Trio at Rudi’s Market Square (6:00 – 10:00). –Soul Jacker at Latchkey (9:00 – 12:30). –Exhibition on Screen: Painting the Modern Garden at The Music Hall (1:00 – 2:30). –Liz Bills & The Change at Portsmouth Book & Bar (9:00 – 12:00). –Buti & Brews at Liar’s Bench Beer Co. (11:00 – 12:00). –Sound Body at 3S Artspace (4:00 – 5:30). –Yoga & Crafting with KOAN Wellness at Lazy Bird Cafe (9:30 – 11:00). –Brunch Party at The River House (10:00 – 4:00).